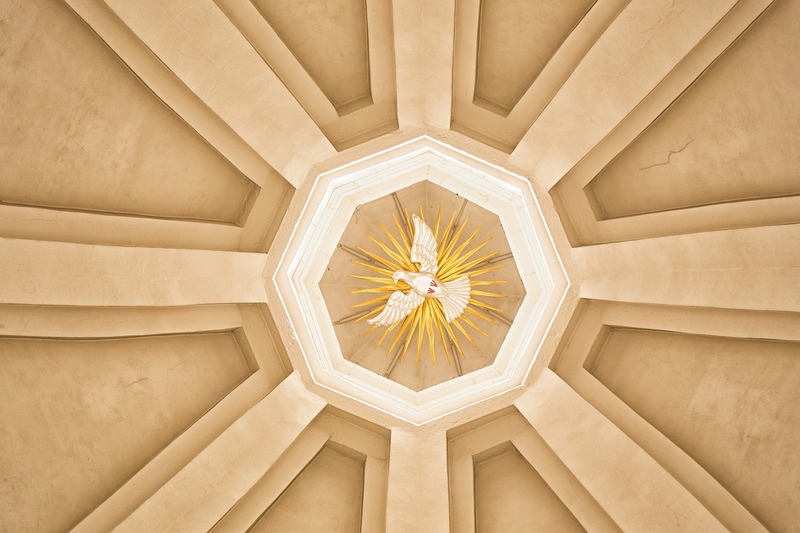 "It was the Spirit who gave life to the early Church; that same Spirit gives life to us in these latter days." 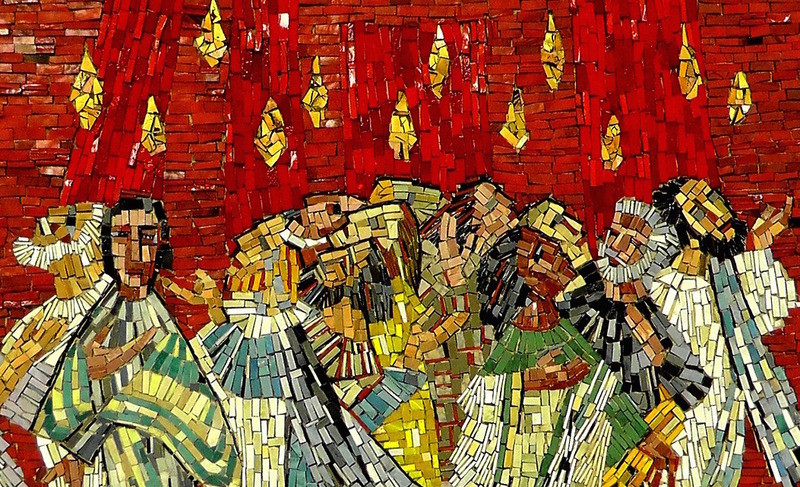 Pentecost was the second of the three great annual festivals of Israel, the others being Passover and the feast of Tabernacles. The festival was often called the feast of Weeks because it took place seven complete weeks, or 50 days, after the Passover. Jews from all over the world came to Jerusalem for this festival, more than for any other. The day was one of solemn convocation when no work was to be done. The people offered the first loaves of fine flour made from the just harvested late grain crops. Other sacrifices were offered in the temple and a meal was prepared with freewill offerings from the people. To this meal the widows, orphans, the poor and the stranger were invited. On this festive day, in the year of Jesus’ death and resurrection, the Holy Spirit was bestowed upon the apostles. 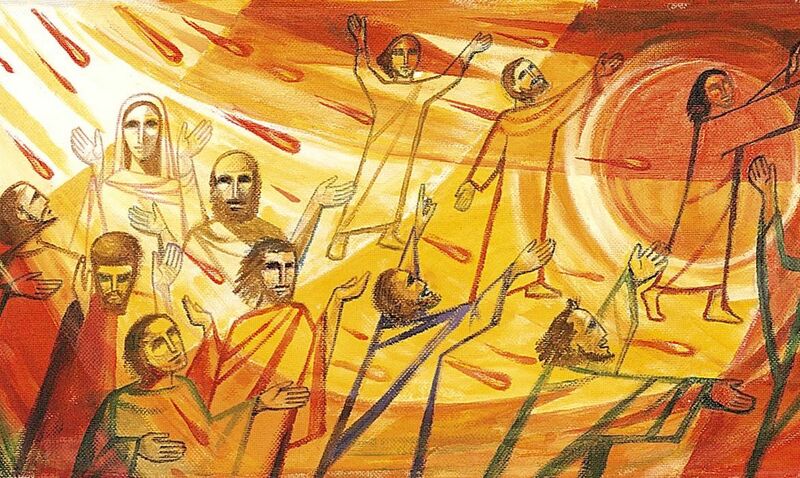 In Acts, Luke describes the sound of a mighty rushing wind and the sight of tongues of flame resting on the head of each apostle. What a transformation took place in these men and women! They were truly “clothed with power from on high” (Luke 24:29). Out into the crowd they went, boldly proclaiming the “mighty works of God” (Acts 2:11). One of the gifts of the Spirit—the gift of tongues—enabled the polyglot crowd to hear the apostles speaking, each in his or her own language. Peter, no longer afraid, boldly proclaimed the event to be a fulfillment of the promise of God made through the prophet Joel: “I will pour out my spirit upon all flesh… whoever calls on the name of the Lord shall be saved.” Acts 2:17a, 21). Then he preached the first Christian sermon, witnessing to the resurrection of the Messiah “this Jesus whom you crucified” (Acts 2:36). 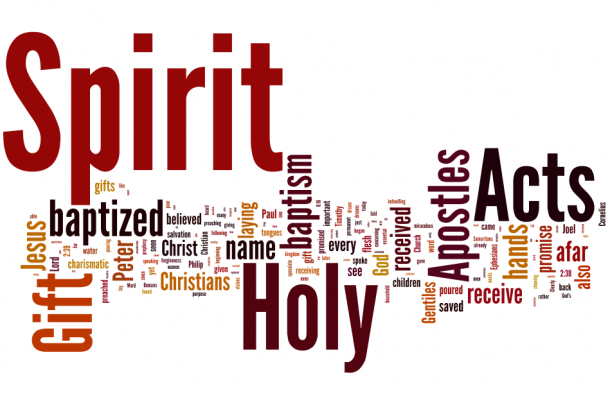 Acts, which is often called the gospel of the Holy Spirit, is full of stories that show the power of the Holy Spirit working in the early Church. It was the Spirit who gave life to the early Church; that same Spirit gives life to us in these latter days. Baptism brings us into new life in the Holy Spirit who will “guide you into all truth” (John 16:13), “teach you all things (John 14:26), and enable us to grow in the likeness of Christ.” Paul says in 1 Corinthians 12:3 that we cannot confess Jesus as our Lord except by the Spirit. The power the apostles and the early Church had, we have also! We, too, can turn the world upside down, as Paul was accused of doing! Our lives—taught, strengthened, and led by the Holy Spirit—can truly glorify God and hasten the coming of God’s kingdom. Living the Good News is a lectionary-based curriculum for all ages, by Morehouse Publishing.